For a special day of holiday entertainment and gaming excitement travel to Atlantic City, New Jersey and see the Holiday show Rat Pack Christmas at the Circus Maximus Showroom at Caesars Casino. Sleigh Bells are Ringing and the Boys are Swinging! From the producers and cast of the critically acclaimed show Sandy Hacketts Rat Pack Show, which Broadway World called, The Best Show of the Year, this holiday-themed theatrical production includes a mix of holiday classics, original Christmas songs and timeless standards. Rat Pack Christmas is a fun, nostalgic, musical trip down memory lane. Dont miss the show critics have called, A fresh, exciting take on the comedic and musical legacy of the veteran Las Vegas institution. Youll swear that the sounds of Sandy Hacketts Rat Pack Show have conjured up the golden era of Las Vegas! This entertaining and touching holiday show features Frank, Deanand Sammys greatest hits, including Thats Life!, Volare and The Candy Man, plus a whole host of your favorite holiday hits. Come share the holiday spirit in festive Rat Pack style! 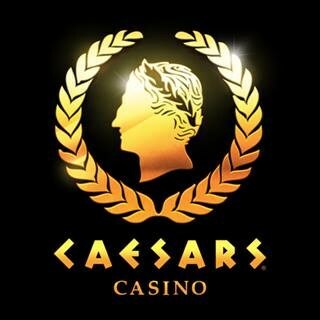 Before the show visit the Casino where you will receive a $25.00 free slot play and a buffet lunch compliments of Caesars Casino upon arrival. Try your luck, enjoying some time gaming and hopefully experience the thrill of winning. Note: No rest stops will be made either en route to Caesars Casino, or on the return trip home. Happy Holidays! 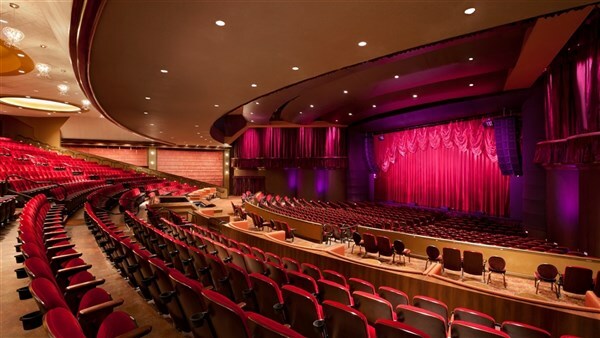 For a special day of holiday entertainment and gaming excitement travel to Atlantic City, New Jersey and see the Holiday show Rat Pack Christmas at the Circus Maximus Showroom at Caesars Casino. Sleigh Bells are Ringing and the Boys are Swinging! From the producers and cast of the critically acclaimed show Sandy Hackett's Rat Pack Show, which Broadway World called, "The Best Show of the Year," this holiday-themed theatrical production includes a mix of holiday classics, original Christmas songs and timeless standards. 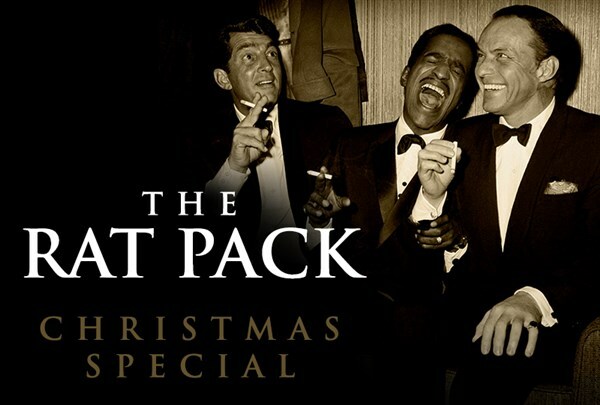 Rat Pack Christmas is a fun, nostalgic, musical trip down memory lane. Don't miss the show critics have called, "A fresh, exciting take on the comedic and musical legacy of the veteran Las Vegas institution. 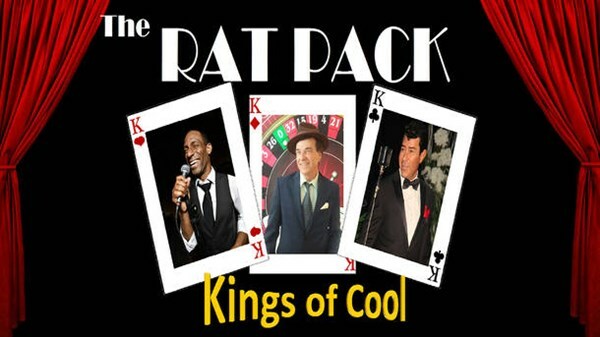 You'll swear that the sounds of Sandy Hackett's Rat Pack Show have conjured up the golden era of Las Vegas!" This entertaining and touching holiday show features Frank, Dean and Sammy's greatest hits, including "That's Life!," "Volare" and "The Candy Man," plus a whole host of your favorite holiday hits. Come share the holiday spirit in festive Rat Pack style! Before the show visit the Casino where you will receive a $25.00 free slot play and a buffet lunch compliments of Caesars Casino upon arrival. Try your luck, enjoying some time gaming and hopefully experience the thrill of winning. Note: No rest stops will be made either en route to Caesars Casino, or on the return trip home. Happy Holidays!